Most travelers arrive by airplane from Guam, Japan, Taiwan (Taipei) or the Philippines (Manila). Check with your airlines or travel agent for up-to-date schedules. 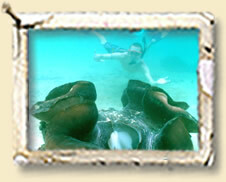 Visitors must have a current passport, and a return airline ticket to travel to Palau. The airport departure tax is $20 U.S.(cash) and is paid upon departure. Airplane flight arrivals and Getting to Peleliu. If you arrive at the Palau international airport at night, there is no transportation to get to Peleliu island the same night, so you will need to stay overnight in Koror. The next day, we arrange your transfer to the island by speed boat. We make all arrangements for the shuttle service by boat from Koror to Peleliu island. 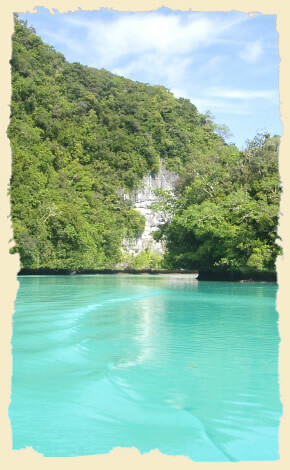 The speed boat ride will take 1 hour from Koror to Peleliu, taking you through the exotic Rock Islands of Palau. Special boat transfer arrangement is also available. 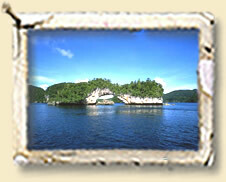 If you want to cruise the Rock Islands with your own boat, we can arrange an exclusive charter boat only for you. We can combine the tour, to stop by Rock Island Arch, Milky Way, or Jellyfish Lake & Giant Clam City, or another snorkeling spot, or have lunch at one of the beautiful rock island beaches before getting to Peleliu island. 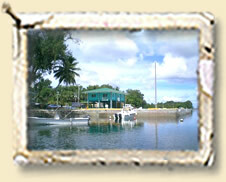 All sightseeing spots are located in between Koror and Peleliu island. Another option is to ride the public ferry boat from Koror to Peleliu. Please contact with us for the boat schedule. It is a 2 &1/2 hour ride from Koror to Peleliu. The ferry departs Koror from the Fisheries Dock. We can assist with any necessary hotel arrangement in Koror, and also with an airport shuttle service. Please let us know if we can be of any assistance to make your journey here as easy as possible. Palau is located just north of the equator, 900 miles southwest of Guam and 400 miles south of Yap, at the westernmost edge of Micronesia. 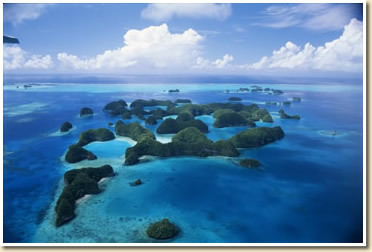 Palau is north of New Guinea and east of the Philippines. The country consists of about 400 islands, 9 of which are inhabited. 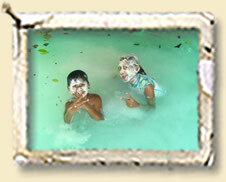 Most of the islands lie within in a giant blue lagoon, protected by spectacular coral reefs and coral walls. 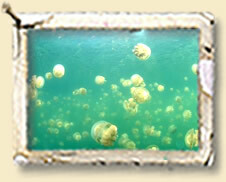 Warm, clear, tropical water and abundant sea life make Palau a diver’s paradise. 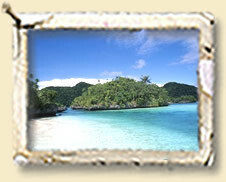 Palau is also very scenic above the water, with azure lagoons and white sandy beaches. The rock islands, mushroom shaped limestone formations covered in rainforest foliage and tropical flowers, provide unparalleled beauty. The wildlife is unique. There are many species of rare birds, flying fruit bats, and exotic lizards.